LEADon Podcast 5: Corporate Family Covenant from LEADon on Vimeo. In our fifth Podcast, Drs. Jared and Steve discuss the Corporate Family® Covenant, an essential approach any business can implement to increase opportunities for success. Building on the concept of Corporate Family, they share how this covenantal model links your corporate culture, business strategies, and team members’ relational quotient in order to achieve maximum productivity and profitability. So what is the Corporate Family Covenant? 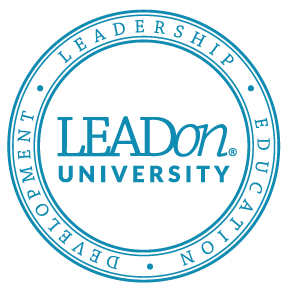 LEADon believes that establishing foundational principles for all team members is critical. These principles should be developed in a “covenant” rather than a contract format because covenantal agreements involve all parties intellectually and relationally committing to agreed-upon guidelines. The ten fundamental principles LEADon recommends can stand the test of time, and they require mutual accountability between all Corporate Family members. Learn more about how the Corporate Family Covenant can help you strengthen your company’s core values and achieve the goals of your business plan. This podcast will also assist you in understanding how a Corporate Family will only achieve success when everyone is committed to the core principles that have been predetermined and agreed upon by all team members.